The 601 Red Label Toro is tagged with free shipping. If you order this product, your entire order will receive FREE BCP Ship Saver shipping! Handmade in Nicaragua, the 601 Red Label is dressed to impress in an oily, spicy, and robust Nicaraguan Habano wrapper. It provides enough intensity to qualify as a full-bodied smoke, though it lacks the harsh finish typically associated with stronger cigars. Expect notes of dark chocolate, espresso, and a hefty dose of lingering spice. 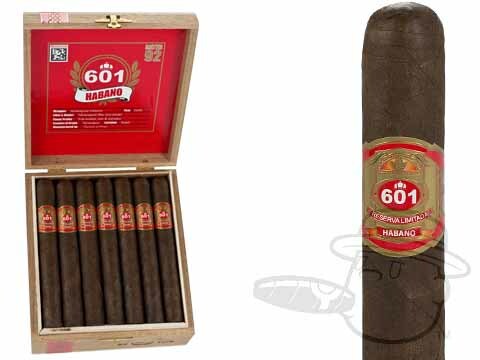 601 Red Label Toro is rated 4.4 out of 5 based on 1 customer ratings.